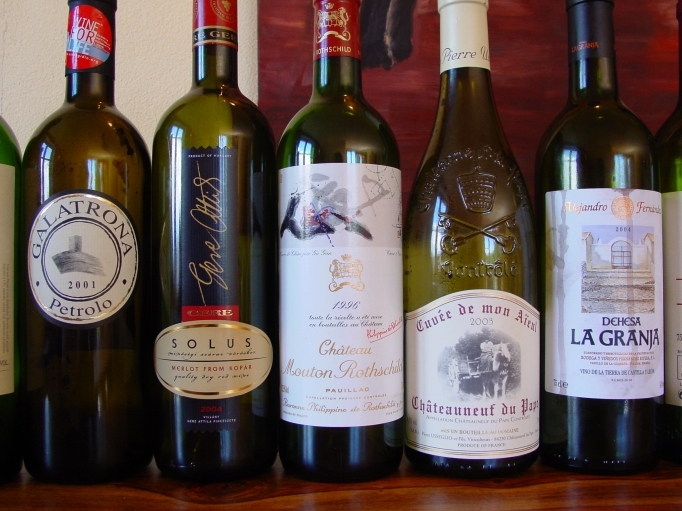 Huge post today: A lot of wine has been tasted lately, but I never got round to publish much about these bottles (among them Mouton Rothschild, Sassicaia and Penfolds Grange). This includes our 7th wine tasting of the Regensburger Whisky- und Weinclub. 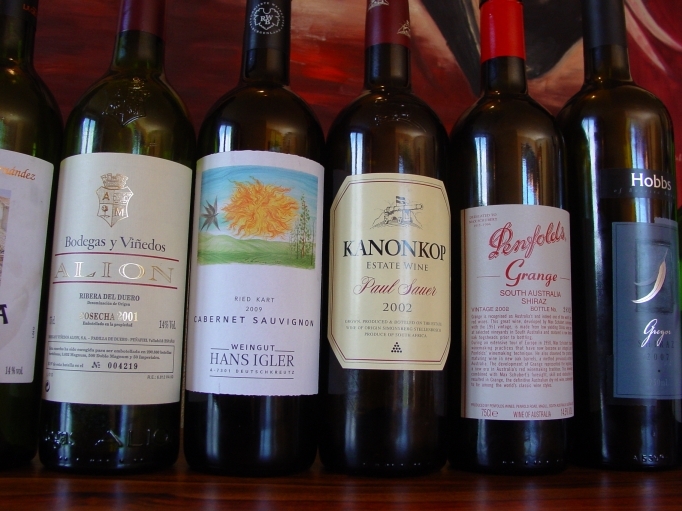 Today I am going to catch up and review some of these wines in very short fashion – more a summing up of the quality than in-depth notes in some cases. Part II. will follow soon. Visit one of our tastings when such wines are tasted and explained in detail. Comment: The nose of this classic at its peak of maturity reveals leather (suede), game, nutty steak, blackberry, green bell pepper, herbs from the Provence, red earth and bricks, pencil shavings and graphite, exotic spices and a discrete note of toasted wood. I am glad it is not ‚modern‘. 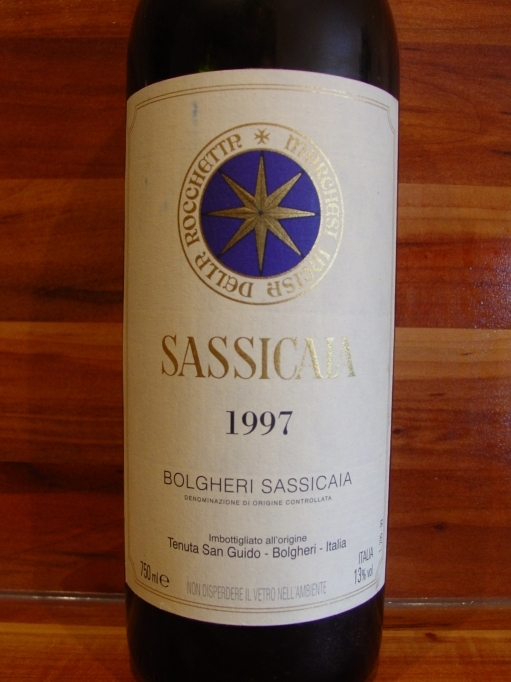 This Sassicaia posesses a breathtaking balance and a lively acidity still. This acidity helps the wine to a great sustain in the mouth which it coats completely at a medium dryness with fine tannins. 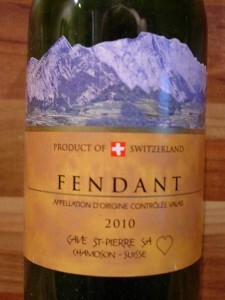 The finish lasts very long and is highly quaffable at the same time. There is not much to dislike. The only thing one could miss is more fruity glycerine with a fresh and hedonistic touch to it, it is more subdued overall. However, I liked it a lot and compare it to the wonderful 1995, which was a bit fresher. By the way , we had this with an Irish oxen rump steak and some antipasti, as these pictures show. My friend Christian Thoma, who is going to duel me soon in selecting wine in front of public tasters, only deserves the royal treatment. It was a pleasure, your highness. Score: 92 (2012) – A wonderful and fruity Saar Riesling taste with discrete residual sweetness and acidity translated into a sparkling wine theme with good moussage. Not as rigid and mighty/complex like the subsequent Champaign, but very well done and fun to drink. Score: 91+ (2012) – technically better than the predecessor with great Pinot Noir character and a solid backbone, yet not vibrant somehow. Score: 93 (2012) – Our friend Gregor brought this along (thanks again). 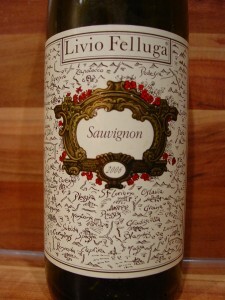 All we knew about it was that it was a Montepulciano, so we placed it early in the line-up. What a mistake. This is anything but typical, all on concentration and fruit power at 15%, almost like an Australian Shiraz. It splitted the audience. 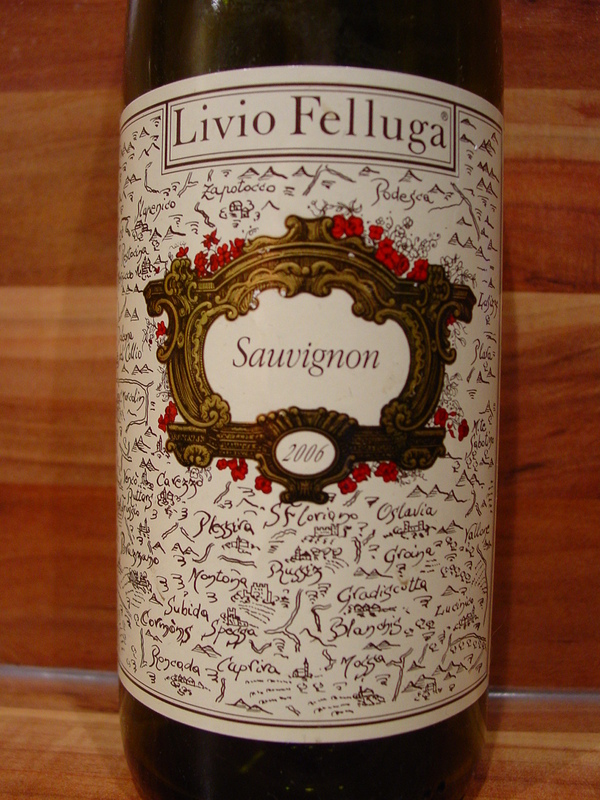 Extract like an Amarone, quite dry, overripe fruit, a monster, that somehow doesn’t fit but tastes nice, nevertheless. Mmmh. 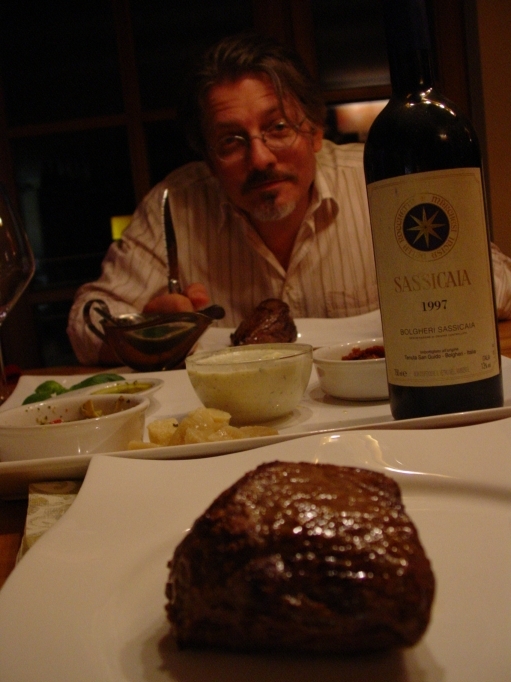 Score: 92 (2012) – Great things were said about this Merlot (made near Arezzo). It had the basic and enjoyable notes of a well-made Tuscan Merlot but somehow it had farmyardy elements in it, not very elegant but complex. Let’s also take into account that it followed a monster. However, it can’t hold a candle to a Masseto or Messorio. I heard that the 2004 was way better. Score: 95+ (2012) – This ‚pira te‘, a famous Merlot from Hungary’s best winemaker, really rocked and saved Merlot’s honour on that night. 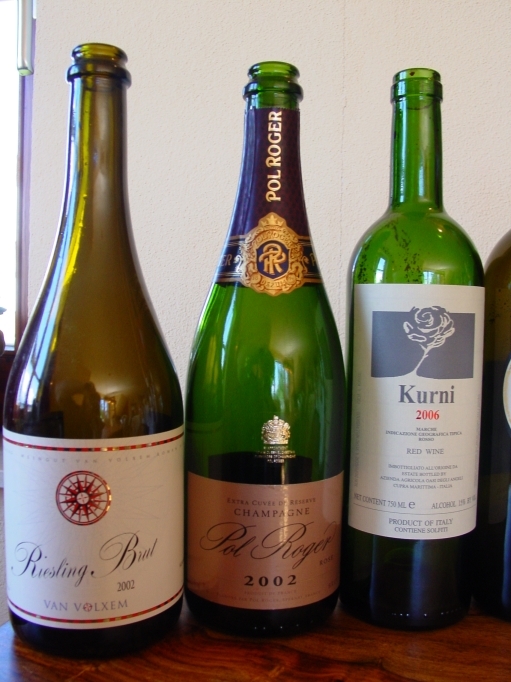 I can understand why it has beaten a Petrus once in a blind tasting. Really excellent and a recommendation at a great price! Score: 97 (2012) – First Growth as it should be, and in a style of days gone by. Really deep and classic. Pure pleasure for experienced drinkers. Score: 91 (2012) – Parker elevated this one to 100 points (Hedonist Gazette), so we were excited. On the palate and in the finish, this wine fell apart, it had liqueurish and compote-like fruitiness and blueberry yoghurt notes with some herbs (Provence), pepper and forest floor, but that was all. A disappointment. Score: 95+ (2012) – Great Tempranillo with the finest of tannins, impressive for almost everyone at the table. 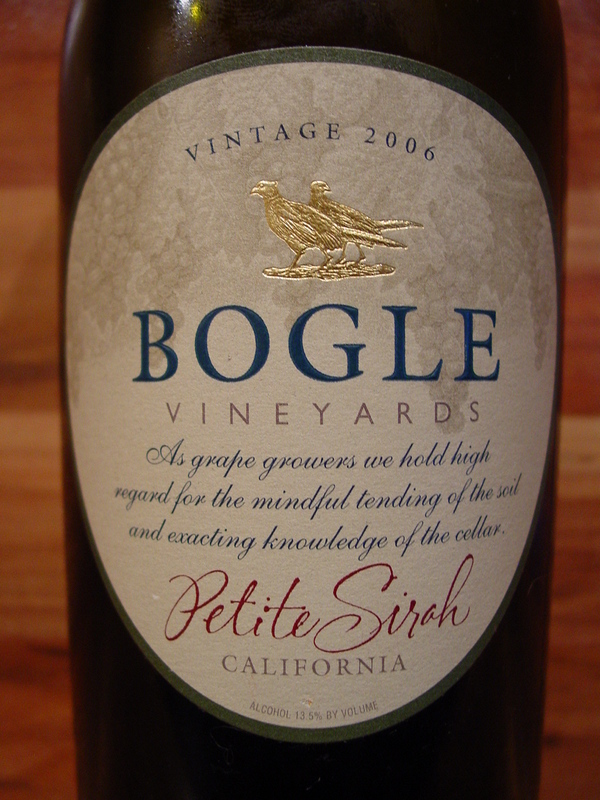 Tobacco, a touch of wood, steak, cool minerality, blackberry, cranberry, vibrant acidity, forest floor and much more. Recommendation! Score: 93- (2012) – the youngster among the line-up and a surprise by Christian, who added it to our original range. Thanks! This bottle from the hottest vineyard in the Deutschkreutz-area could hold its own, but we drank it too young, it still was a bit closed. 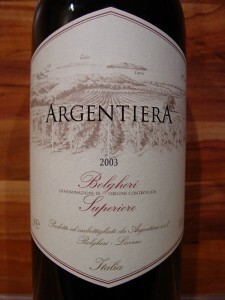 Biting tannins and acidity, youthful freshness and fruitiness (to unfold: cassis, cherry), fresh wood, compact body. 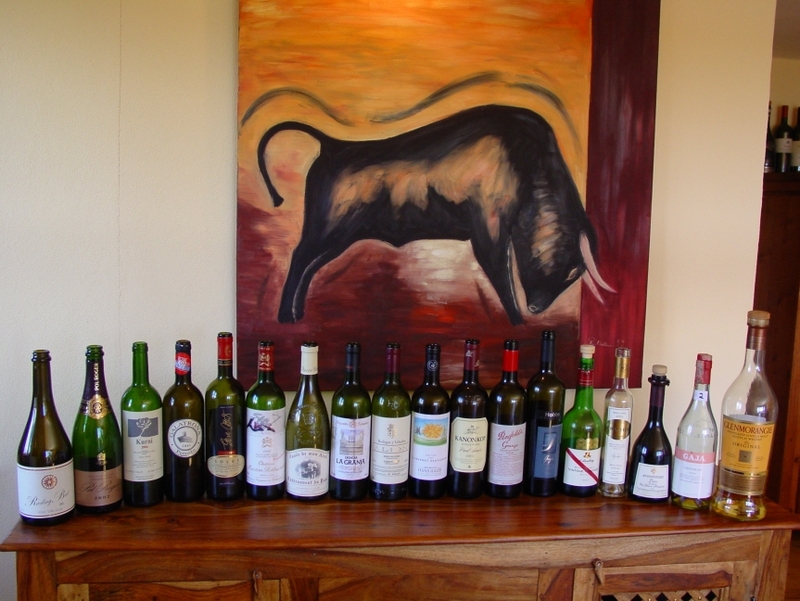 Score: 95 (2012) – I love South African Hedonism in wines with their exotic spices. This example is one of the finest bottles from the Cape and can age very well. Leather, loads of terroir, fireworks, fruit, wow. Recommendation again, if this is your style. 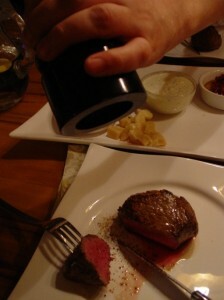 Score: 96+ (2012) – Most of all, I loved that it isn’t this modern monster one expects from Australian Shiraz. It is very well-balanced and complex. Of course it bears typicality, but in a very fine style. Not to be missed and a piece of wine history. Still one of the benchmarks. 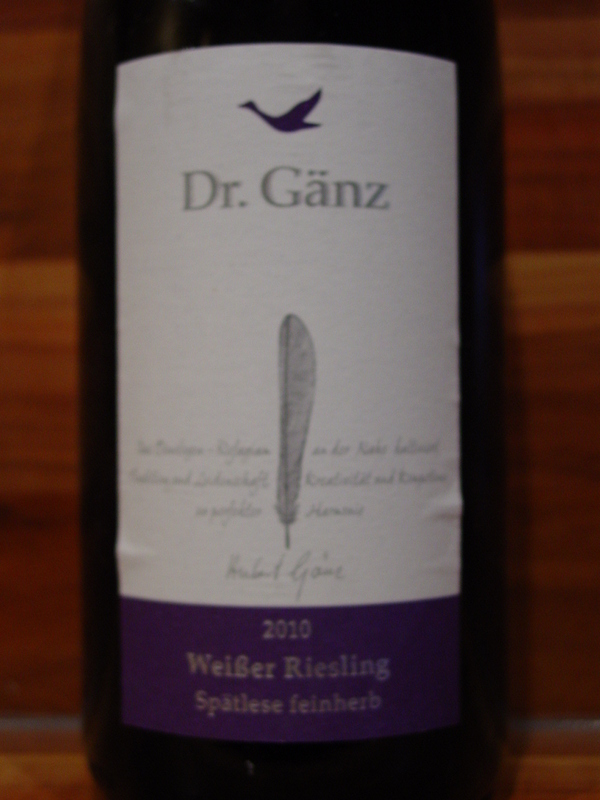 Score: 95 (2012) – Another addition to the line-up from Gregor, the wine actually bears his name! This was an excellent choice allowing the tasters to compare where Australian wine came to (and from at the Grange before). This is your typical power bomb, but in good balance, modern and full of extract, primary but with a lot to display in this realm. Gregor isn’t for the faint-hearted. Score: 98+ (2012) – The winner of the night, no doubt. 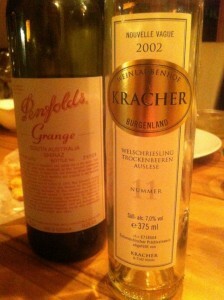 Close to perfection and still made from daddy Kracher (R.I.P.). Liquid magic! Score: 90 (2012) -Highly decorated, so we thought it might be able to step into the shoes of Seppeltsfield’s great products, and d’Arenberg didn’t disappoint with their reds ever. It had the death seat after Kracher but we still could judge it fairly. Not as complex as we hoped, it posesses artificial Amarena-cherry aromas, honey, thyme and some grapes in a sweet surrounding. Not convincing. Comment: Big fruit (jammy peach, peach core, gooseberry, cassis, green apple, eldeflower, dash of lime), honey, some hay and vanilla on the nose. Promising. On the palate, however, this is way less exuberant and rather dry. The hay takes over big time (dislike! 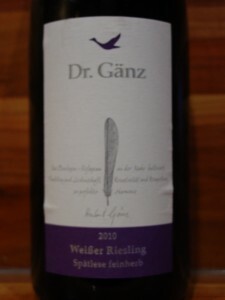 ), along with apple, gooseberry, elderflower, lemon zest and a medium-intense acidity. 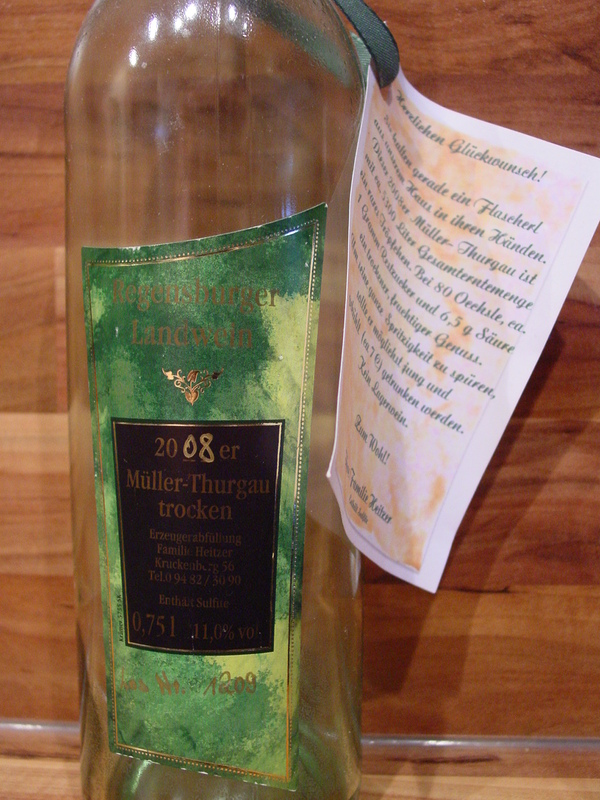 The finish reveals peach core (persipan) and green grapes. Maybe it aged a bit too long, who knows. I expected more clarity and vibrancy somehow, this seems a bit subdued. Comment: Green and yellow apples, gooseberries, a dash of lime and hay with a little acid in the nose. The palate reminds me of Cider and apple seeds and potatoe skin, but what this wine really lacks is acidity. A flat one, even in the finish (again with potatoe and apple skin). Comment: This Californina reveals red fruit jelly, bell pepper, vanilla, brioche, oak, herbs (Provence) and leather, all rather primary, a ’nice to meet you‘-wine without a lot of depth. 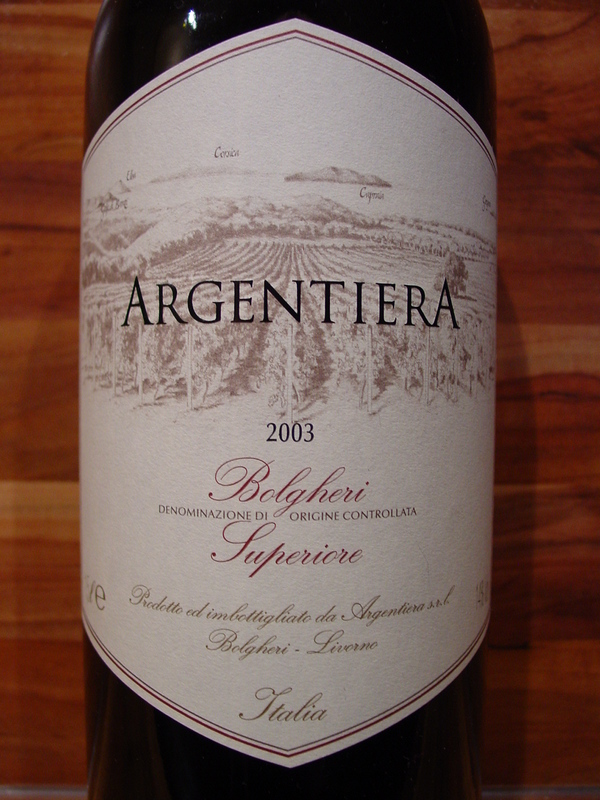 Score: 92/93 (2012) – Typical Bolgheri from the hot vintage 2003 with a rock solid performance. A lot of wood though, a touch too much, as AC DC would state it. 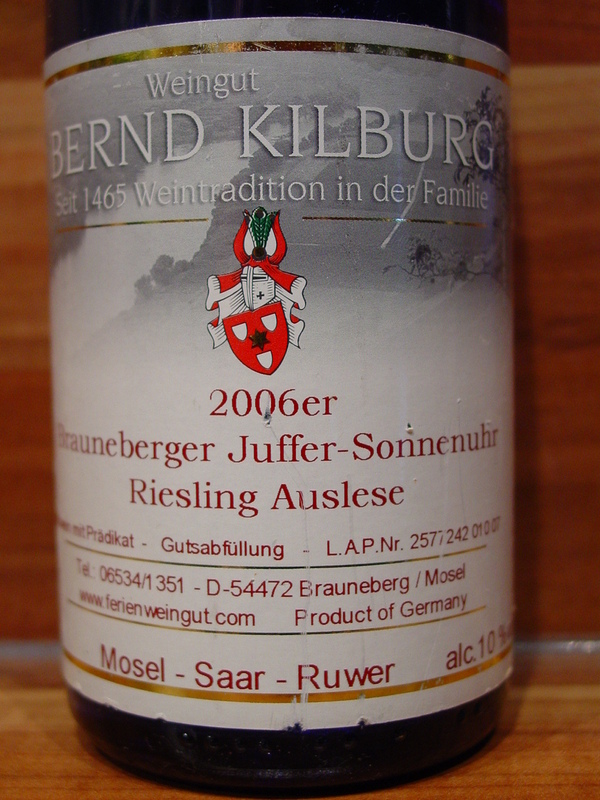 We had this with the Genießerstammtisch in the Regensburg-Winzer vineyards high above the city, where we could also try a really decent Merlot from that very place. A wonderful event. 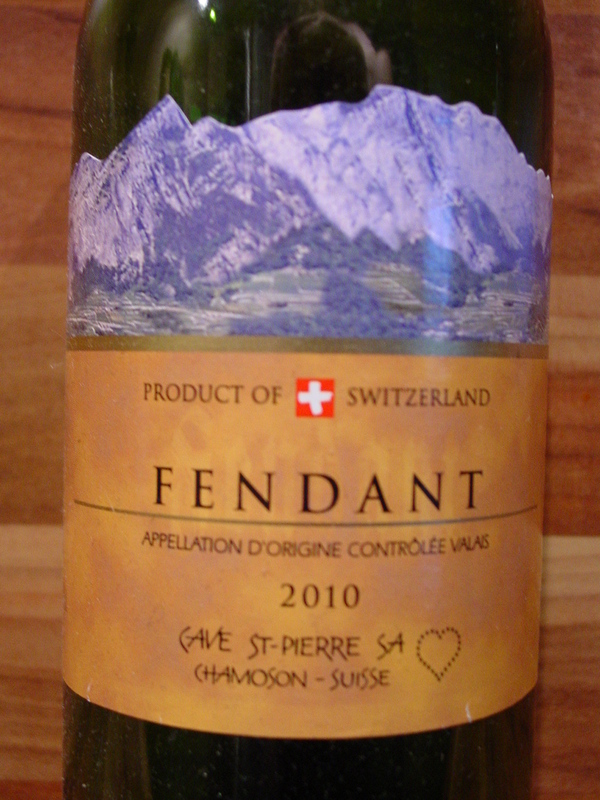 Score: 86 (2010 – 2012) – One of the few convincing wines grown in my region, a nice sipper. 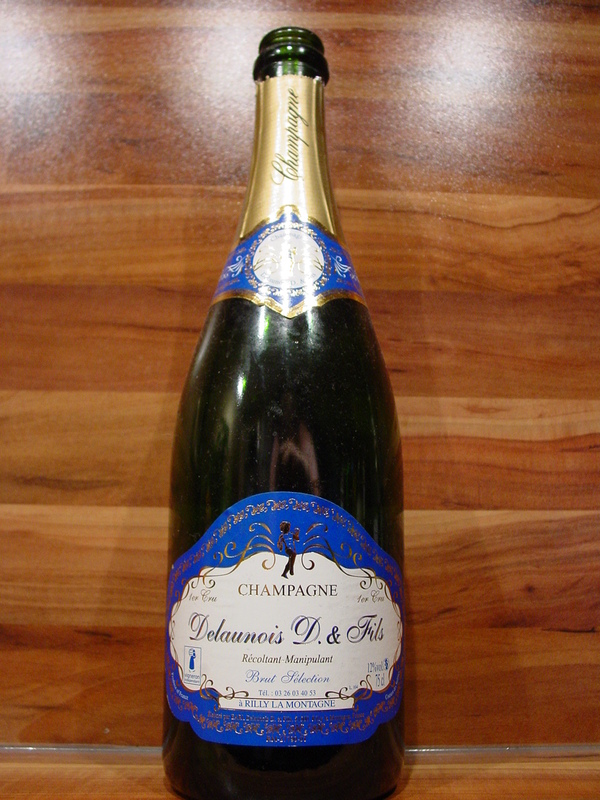 Score: 88 (2012) – I raved about the Grand Cru Cuvee Royal, but this version is a bit closed and not overly complex. After this tour de force more wine reviews will follow. Stay tuned and join us in one of our tastings.